IP Server One Review 2019: Is IP Server One a Good Hosting? IPServerOne has been in business since 2003 and has reliably served numerous customers over the years. You can expect the same for yourself, with the right customer support that’ll make your experience trouble-free. IPServerOne is a Malaysian IT services company that offers shared, cloud, email, and dedicated server hosting amongst their extensive portfolio of services. Established in 2003, they’ve since served over 50,000 customers and have over a 90% year-over-year renewal rate. They boast 24/7 support and serve a lot of well-known clients, many of whom are proudly displayed on their website. IPServerOne seems to specialize in their cloud hosting and dedicated server offerings. They do have shared hosting, but this is limited to a single package and designed for small to medium enterprises looking for a cost-effective hosting option. 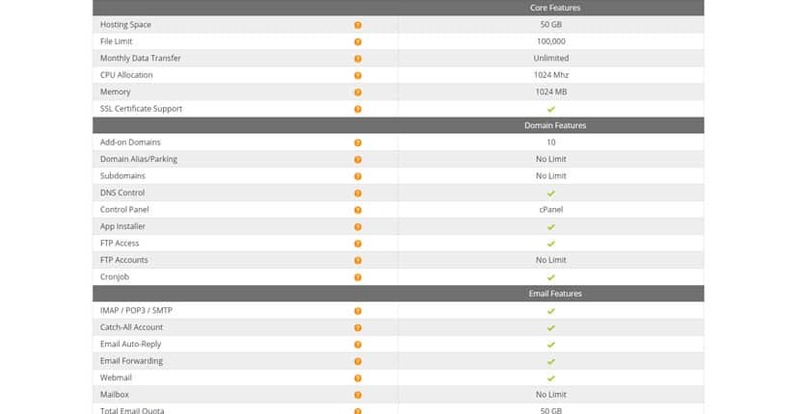 This lone shared hosting package affords customers 50GB storage, unlimited data transfer, up to 100,000 files, up to 10 add-on domains, unlimited emails, and an SSL certificate. At the single annual rate offered, you get a server and network uptime of 99.9% at minimum, along with 24/7 support. IPServerOne offers two types of cloud hosting: OpenStack and regular virtual server. The former was primarily designed to make web-scale computing easier for developers. Both types are quickly deployed and easily scalable. However, the OpenStack option has the added advantage of a pay-as-you-go billing system, so you only pay for the resources that you actually use. The regular cloud hosting option, on the other hand, goes by a monthly billing system. You also have the option of purchasing additional backup hard drives, adding unlimited VPN accounts, utilizing their CDN, or getting your own control panel and operating system license from them. IPServerOne only has one package in the shared hosting category. This comes at a fixed annual rate, with increasingly greater discounts the longer the contract term you purchase from them. The price was definitely reasonable, given the amount of resources and features you get with the plan. However, those who only want to set up a single basic website may find this plan too much for their needs. I tried out their live chat and was glad to find out that a real person answered my query almost immediately. I was then guided to a link where I could find the relevant information and read more about it. Professional and helpful are how I would describe their support staff. They are also reachable by telephone, fax, and email. Alternatively, you can browse through their comprehensive knowledge base to resolve any server and account-related issues that may occur. IPServerOne’s list of clients is impressive and proves that they are indeed professionals in the services they provide. They may not be the best option for bloggers or startups with only a simple website, but SMEs and larger corporations will find their hosting solutions a smooth experience. Wondering how IP Server One stacks up against other Web Hosting companies? Enter any other Web Hosting company and we will give you a side-by-side comparison.